Jean-Marie Leclair (1697-1764) is an interesting figure from 18th century French music. He was born in Lyon, France and started out as a dancer at the Rouen theatre, travelling, in 1722, to Turin as ballet master. It was during his time in Turin that he composed ballet music and took up the violin that had, until then, been merely a secondary pursuit, studying with Giovanni Battista Somis (1686-1763). Leclair went to Paris in 1728 studying composition with Cheron and becoming a member of the royal band and violinist at the Opera. After a dispute with Guignon he relinquished his post with the royal band and retired from the Opera. For the rest of his life Leclair appears to have devoted his time to composition and the publication of his works. Twice married, his first wife died; his second wife, Louise Roussel an engraver, who prepared his works for printing. It was after the break-up of his second marriage, during the night of 22nd October 1764, soon after his return from a visit to Holland, that he was murdered close to his house. It is not known who was responsible or why the murder took place though family members are thought to have been behind it. Leclair’s compositions include an opera Scylla et Chambery (1746), 6 violin concertos, Op.7; 6 violin concertos, Op. 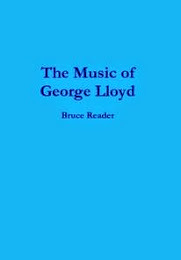 10; 12 sonatas for violin with bass, Op.1; 12 violin sonatas, Op.2, 6 sonatas for two violins, Op.3; 6 sonatas en trio, Op.4; 12 sonatas for violin with bass, Op. 5; trios for two violins with bass, Op.6; 12 violin sonatas, Op.9; 6 sonatas for two violins, Op.12 and the sonata for violin with bass Op.15. Adrian Butterfield (Baroque Violin), Jonathan Manson (Viola da Gamba) and Laurence Cummings (Harpsichord) have just had released on Naxos www.naxos.com their recording of Leclair’s Op.2 Violin Sonatas No’s 1 – 5 and No.8. Adrian Butterfield http://www.rcm.ac.uk/hp/professors/profile/?id=5039 is Musical Director of the Tilford Bach Society and Associate Musical Director of the London Handel Festival. He regularly directs the London Handel Orchestra and Players and is increasingly invited as a guest director and soloist in Europe and North America. He directs a baroque project annually with the Southbank Sinfonia and is Professor of Baroque Violin at the Royal College of Music in London. Jonathan Manson www.ram.ac.uk/find-people?pid=182 was for ten years the principal cellist of the Amsterdam Baroque Orchestra. As a concerto soloist, he has appeared at the Wigmore Hall, the Carnegie Hall and the South Bank Centre. His long-standing partnership with the harpsichordist Trevor Pinnock has led to critically acclaimed recordings of the Bach gamba sonatas and, together with Rachel Podger, Rameau's Pièces de clavecin en concert. He is a professor at the Royal Academy of Music. Laurence Cummings www.rayfieldallied.com/artists/laurence-cummings has played harpsichord and organ continuo with many leading period instrument groups, including Les Arts Florissants, The Sixteen Choir, Gabrieli Consort and Orchestra of the Age of Enlightenment. He has also conducted at English National Opera and Glyndebourne. As a soloist, he has recorded the harpsichord music of Louis and François Couperin. He is the Musical Director of the London Handel Orchestra and the Tilford Bach Society and is William Crotch Professor of Historical Performance at the Royal Academy of Music. 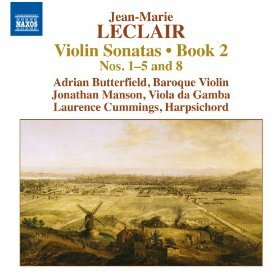 In the opening Adagio of Leclair’s Violin sonata in E minor, Op.2, No.1 Adrian Butterfield has a nice full tone bringing out lovely sonorities across the range. Jonathan Manson provides some attractive sounds from the Viola de Gamba with sensitive accompaniment from Laurence Cummings. A lovely flowing Allegro ma poco follows, with some lovely articulation from Butterfield and something of the brilliance of an Italian sound. The lovely Sarabande. Largo gently unfolds with some really lovely playing from all of these artists. This is a beautiful piece. A really lively allegro concludes this terrific sonata, with more of that Italianate feel. Violin Sonata in F major, Op.2, No.2 opens with an adagio, as do five of the sonatas recorded here. After the Viola e Gamba and harpsichord have a say, the violin enters with some lovely lower, sonorous notes, weaving a lovely web of sounds with the Viola da Gamba and harpsichord. There is an intricate Allegro ma poco, with lovely rising decorations for the violin expertly done. There is some lovely playing here. The short Adagio acts as a kind of bridge passage with sustained violin chords with responses from the harpsichord leading to the Allegro ma non troppo where staccato bowing reminds one very much of Vivaldi. There are terrific violinistic effects including intricate trills, double stopping and bariolage technique. A sweet melody for violin gently accompanied by the Viola da Gamba and harpsichord opens the Adagio of Violin Sonata in C major, Op.2, No.3. A constant flow of melody is created with the Viola de Gamba often echoing the violin line. The allegro scampers along in an attractive, descending motif with terrific ensemble from these players before a lovely wistful largo, full of little twists and turns beautifully played by Butterfield. Manson provides a deep sonorous support from his Viola da Gamba with Cummings beautifully filling in the texture. This sonata concludes with a bouncing, rhythmic Giga. Allegro ma poco, full of life. In the Adagio of Leclair’s Violin Sonata in A major, Op.2, No.4, Butterfield always manages to provide the right amount of expressive playing. Cummings has a lovely way of providing a kind of spread of chords, brilliantly done. Little clipped phrases in the Allegro ma non troppo add a rhythm that is most attractive with, again, spot on ensemble. The unusual Aria: Gratioso has the feel of being based on a popular song. Leclair’s allegro finales are so attractive, this one being no exception, rhythmically interesting, varied and most of all full of life, with terrific sonorities and affects. Violin Sonata in G major, Op.2, No.5 opens with a flowing Andante with violin and viola de gamba weaving around each other, accompanied by the harpsichord. The following, finely played, Allegro ma poco is another rhythmically interesting movement, with little short phrases that give it character. The way Leclair weaves his melody in the Gavotta: Gratioso, with subtle little decorations, is most appealing, especially as played here. A vibrant Allegro assai, full of attack and forward motion has some lovely delicate touches. We jump to the eighth of the twelve Op.2 sonatas, Violin Sonata in D major, Op.2, No.8 to end this disc. There is a leisurely adagio with more attractive decorative passages, a joyful and lively Allegro, enough to raise anyone’s spirits, beautifully played and a beautiful, melancholy Sarabande: Largo, exquisitely played by all three of these artists. The final Allegro assai is full of life making this a terrific conclusion to this sonata and the whole disc. There is so much to enjoy in these sonatas finely played by these three artists with Adrian Butterfield providing a brilliant tone as well as some richer, even earthier sonorities. If you don’t already know them, these sonatas are really worth getting to know. The trio are excellently recorded at St Mary’s Church, Walthamstow, London and there are excellent notes by Adrian Butterfield.